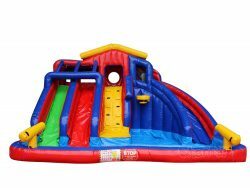 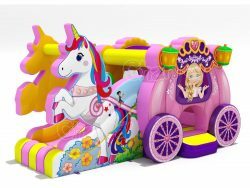 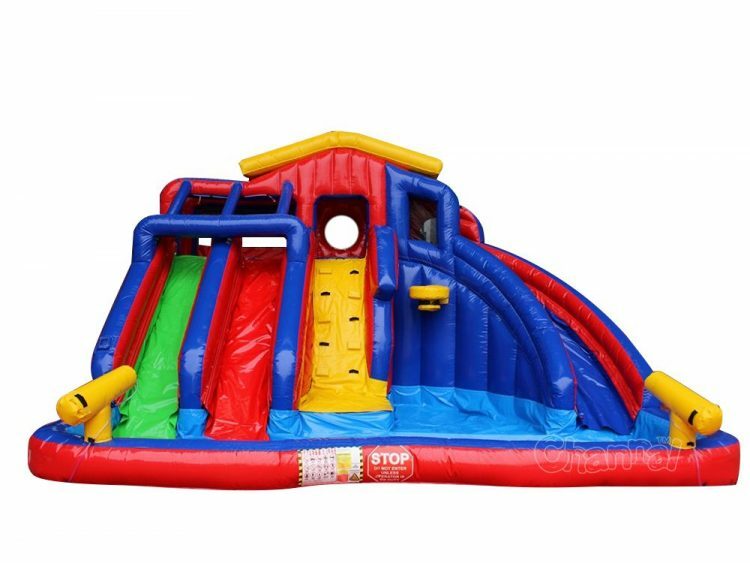 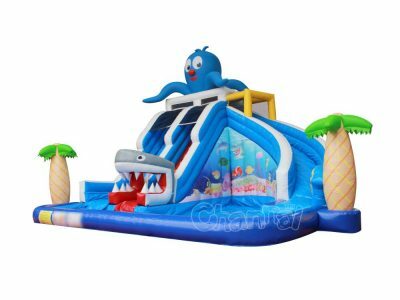 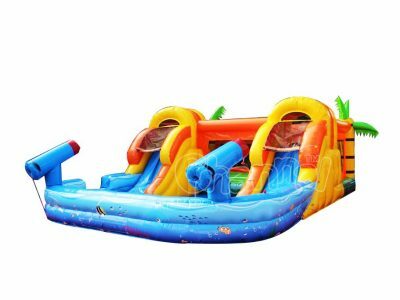 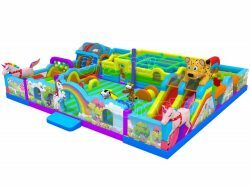 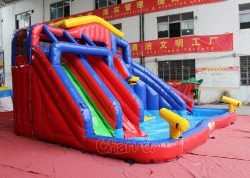 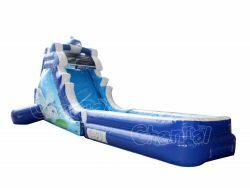 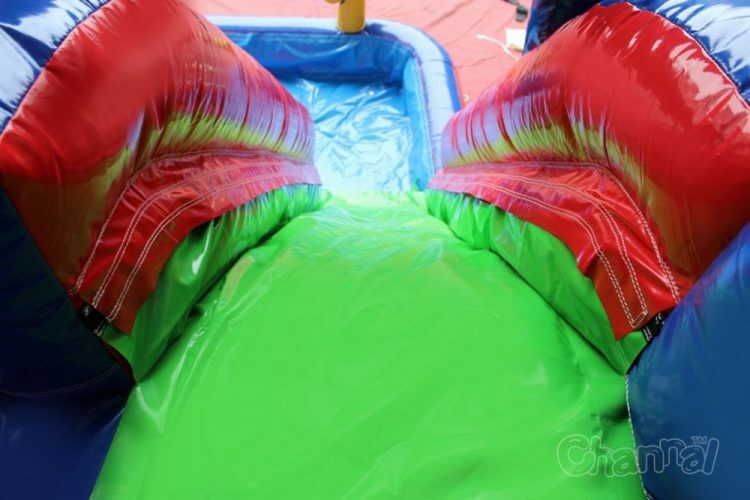 Check out our colorful backyard inflatable water slide for kids, two straight slide lanes and one curved lane give kids different feeling about sliding. 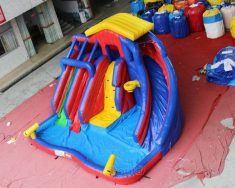 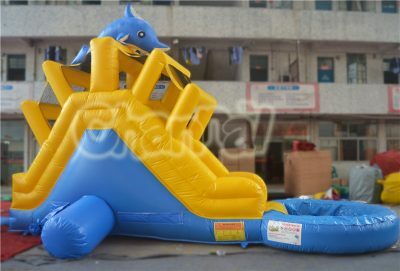 The three lanes are all connected to the same inflatable swimming pool, kids can play in the water, and shoot basketball into the inflatable basketball hoop. 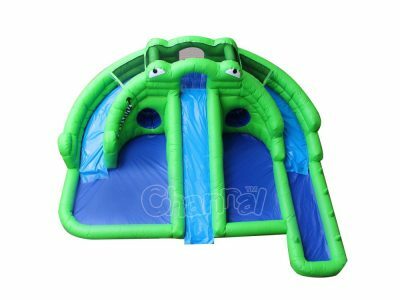 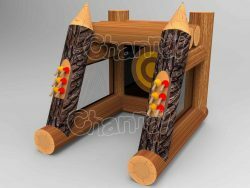 This slide can be used in your backyards and help you spend a fun summer vacation with cold water.